If you experience issues with printing, you are likely going to be presented with the message as seen below. Your iPad is connected to Wifi. This would imply that your iPad needs to be connected to WiFi. Your printer is connected via Bluetooth. This would imply that you need to check if there is a connection issue between the printer and the iPad. The printer is turned on with the lid closed. This would imply that you need to turn the printer on and ensure that the lid is securely closed. The iPad and printer are connected to the same WiFi network. 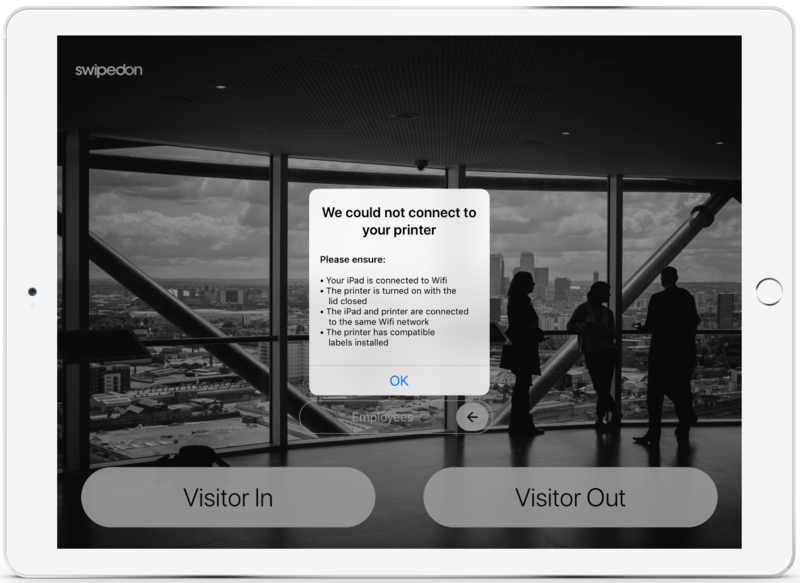 This would imply that you need to ensure the iPad and printer are both connected to the same WiFi network. The printer has compatible labels installed. You would need to check that the printer label type is supported by us. The printer is showing an 'unavailable' status within the Printer Setup menu. See our printer unavailable help article for more help.